sphinxx is a social enterprise that was established by Jen Dalitz to connect women in leadership roles with peers, mentors and professional development to enhance their lives and careers. 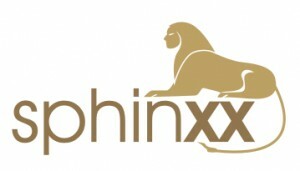 With a vision to see women equally represented as leaders, in our workplaces and communities, sphinxx delivered resources and professional development to support women on their leadership journey; along with advice and education to employers about the benefits of gender balance and how to achieve it on their teams. Since inception, the sphinxx online community has grown into an active membership, and offline has delivered professional development events to over 1,000 women across Australia. Its website following has extended across geographical borders with a global reach that has exceeded 55,000 page views per month. And The SheEO Blog has been a core platform to engage more employers and business leaders in the debate on gender balance. sphinxx was founded in 2007, was a finalist in the NSW Telstra Business Awards in 2010, and was incorporated into the consulting practice of Jen Dalitz & Associates Pty Ltd in 2014. Jen continues to develop thought leadership on gender balance to agitate for change that will drive gender equality in our communities. Jen remains very PR and media friendly and is available for comment on women, work and leadership, please contact us with your requests.